The Perennial Plant Association’s 36th annual Perennial Plant Symposium will take place July 30-August 3, 2018, in the Raleigh-Durham, North Carolina area. This industry-focused conference brings together more than 500 professionals for networking, learning and special events — all devoted to perennial plants. Attendees can explore outstanding local gardens, visit one-of-a-kind retail garden centers, and tour innovative production facilities. Keynote by Fergus Garrett: head gardener at Great Dixter. Lauded for his extraordinary plantsmanship and sophisticated design sensibility, Garrett is still down-to-earth and accessible. He’ll connect attendees with the Great Dixter approach to planting design. Keynote by Richard Hartlage: founding principal and CEO, Land Morphology. His award-winning, innovative designs heighten the human experience of the natural world. Hartlage will focus on green trends in landscape architecture, including the European meadow and matrix planting styles now emerging as significant components in American landscape architecture. Business Talks: A new addition to the symposium, this one-day intensive features top speakers from the business side of the horticultural industry. Owners and managers will discover new tools to strengthen and grow their operations. BASF-sponsored tour to Metrolina Greenhouse, a family-owned, wholesale plant and services company, founded in April 1972. With 162 acres under roof, they are the largest single-site, heated greenhouse in the United States. Plant Delights Nursery & Juniper Level Botanic Gardens. An award-winning, online nursery specializing in rare and unusual perennials. The nursery and adjacent six-acre botanic garden reflect founder Tony Avent’s 60+ plant-hunting expeditions to locations around the world. Hoffman Nursery, Inc., which specializes in ornamental and native grass liners. Owned by John and Jill Hoffman, the nursery has a 51,000 sq. ft. greenhouse, automated production lines, and beautiful gardens focusing on grasses. Niche Gardens, a mail-order and retail nursery. 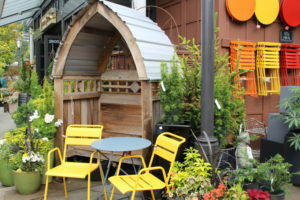 They specialize in native and unusual perennials, grasses, ferns, and woodies. Their extensive display gardens are designed for pleasure, learning and fun! Advanced registration is required and early bird pricing ends June 1. See the program description and get registration information on the PPA website.